Obituary for Schubert Charles | Dixon Funeral Home, Inc.
Schubert Charles, 53, of Lake Jackson passed away on Wednesday, January 16, 2019 at his residence. He was born March 14, 1965 in Brooklyn, New York. “Shoe”, as he was fondly called by his friends and family, was a U.S. Mail Carrier in Lake Jackson for many years. He enjoyed talking to the people on his route and making sure that their mail was delivered in a timely manner. He was proud of his job. His favorite football team was the NY Giants. 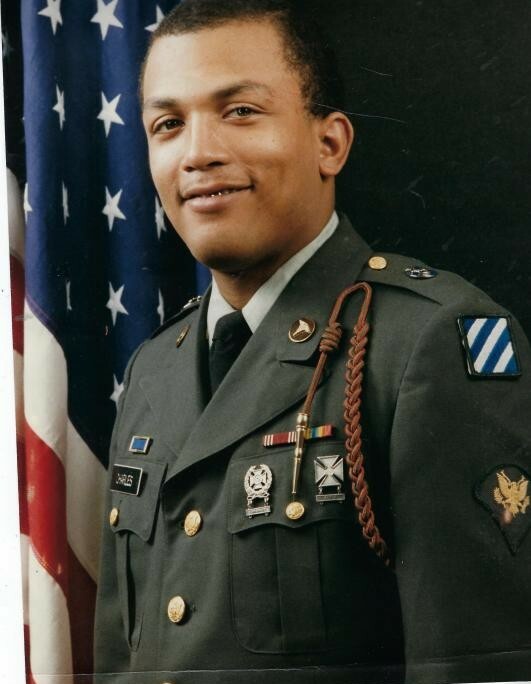 He served his country honorably in the U.S. Army and enjoyed spending time with his family. sister, Sheila Charles, brothers, Bobby Charles (Bridgette), Kevin Charles (Fabienne), Kildare Charles, Woody Charles and Emmanuel Charles; god daughter, Sarayia Stewart, Pearland; sister-in-law, Linhelle Charles, 6 grandchildren and a host of nephews, nieces, other relatives and friends. A wake will be Thursday, January 24, 2019 from 5:00 p.m. to 7:00 p.m. at Dixon Funeral Home in Angleton. Funeral services will be Monday, January 28, 2019 at 11:00 a.m. at Carl C. Burnett Funeral Home, 456 South Franklin Street, Hempstead, New York. Visitation will be from 10:00 a.m. until service time. In lieu of flowers, please make a donation to St. Jude Children's Hospital, 501 St. Jude Place, Memphis TN 38105 or http://www.stjude.org.